Welcome to May! We are finally here, at long last. 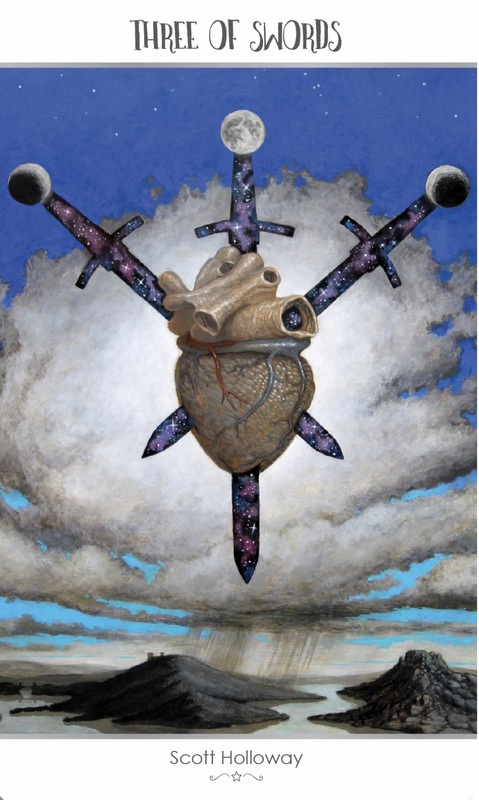 As we wind down our series from 78 Tarot Astral ~ Tarot in Space, we encounter this amazing 3 of Swords from artist, Scott Holloway. Such incredible artwork! And, what a fantastic card to begin the month. Since the year began, we have been waiting for May, hoping to clear a number of energy hurdles, and that final hurdle, if you will, is drawing close. Some extremely painful experiences, losses and betrayals have been endured, and you want nothing more than to remove yourself from that negative energy flow. So far, you have made great progress, and today’s card shows the promise of the new beginnings which are on their way to you. With the 3 of Swords, the storm clouds pass, or separate, and one can begin to release and dry those tears of sorrow. This is not a card to be feared; if you are willing to work with its energy, you can feel very uplifted, as you eliminate things which have caused you pain. This entry was posted in Card of the Day, General Tarot, Readings, YouTube Videos and tagged 3 of Swords, Card of the Day, Guidance, Path, Reading, Tarot. 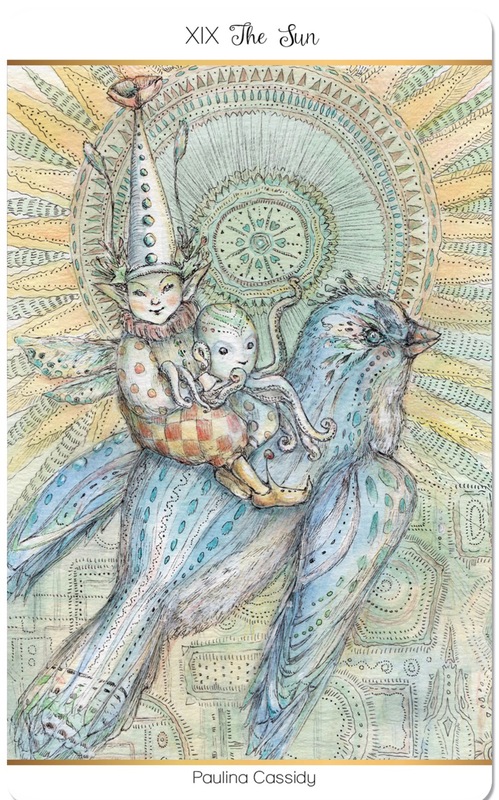 The Sun blazes, casting no shadows, as two young carnies joyfully ride a bluebird through the sky and over a gray patchwork wall. Yellow and green rays shine from this solar orb, as thes children escape the grey world below, reminiscent of cheerful sunflowers in our own garden. A bright flower spontaneously sprouts from the young boy’s hat as he rides past, reminding us of the life and light brought by the Sun. This card brings cheer, just as the Sun brings warmth after a long winter, reminding us that all darkness ends. Your work is complete; it is time to celebrate your success. Life is good right now, and your confidence and joy draw people to you. This entry was posted in Artist, Deck Review, Featured Card of the Day, General Tarot, Readings and tagged 78 Tarot, Artist, Sun, Tarot. 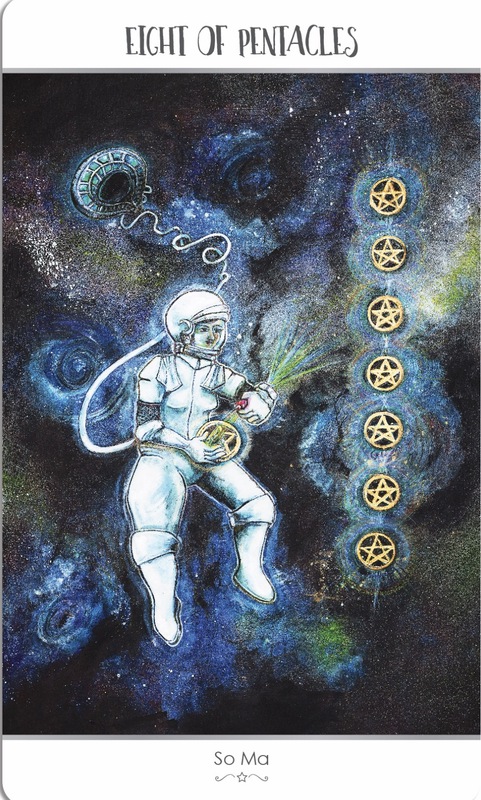 We close out the month of April with So Ma’s rendition of the 8 of Pentacles for 78 Tarot Astral ~ Tarot in Space. This is the perfect card to dedicate to, and congratulate, American NASA astronaut, Peggy Whitson, for breaking the space orbit record. After all, hard work and dedication is what this card represents. I know it is Sunday, but this feels so important; there is something you need to tend to, and it is important that it be perfect in every way. Your attention to detail, being completely meticulous in your work, and leaving no stone unturned, is definitely in your best interest. The 8 of Pentacles very often shows a figure intent on the project-at-hand, although there are festivities off in the distance. Whatever needs your attention means a great deal to you, and making sure all of your ducks are in a row will ensure your success when the timing is right. After all, tomorrow it will be May, and you need to be ready. 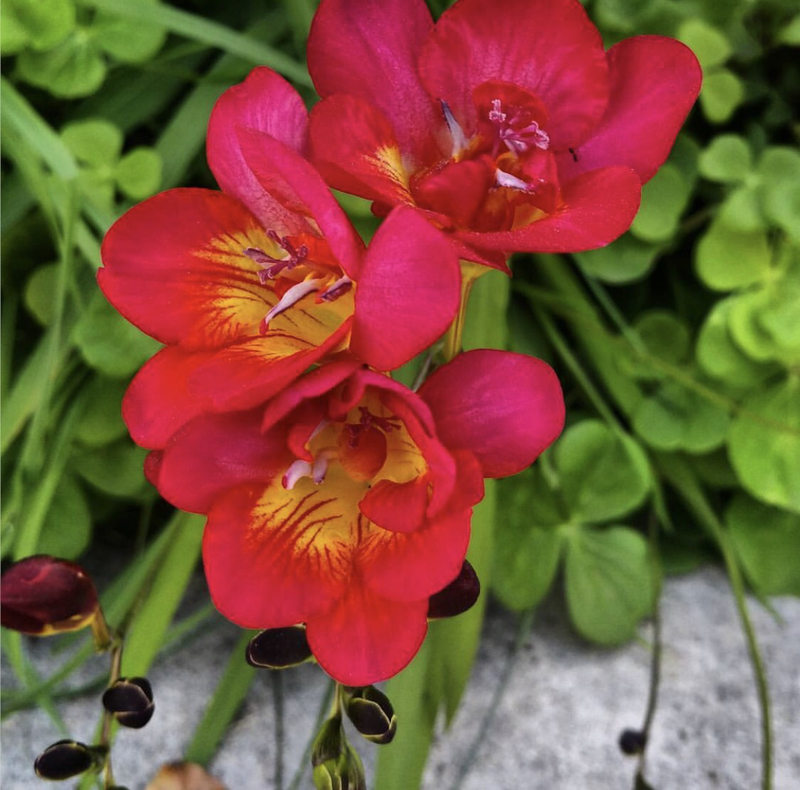 This entry was posted in General Tarot, Love and Finance, Readings, Weekly Tarot Guidance, YouTube Videos and tagged Guidance, Path, Reading, Tarot, Weekly. “The traditional depiction of the Nine of Pentacles is a woman standing in a vineyard with a falcom resting peacefully on her arm. A beautiful mermaid sits in a garden of sea plants and sand dollar shells. She rests, content among her finery – her garden is all that is visible. All her hard work so far has come to fruition, and it is time to relax and enjoy her accomplishments. One of the sand dollars adorns her hair – she enjoys her good fortune, but doesn’t flaunt it. Feathery scales on her tail symbolize her wisdom – she will maintain control over her wealth. Her garden will continue to grow under her care. This card represents a chance and time to live life well, reminding us that we work to live, and not the other way around. Money is best enjoyed, rather than hoarded. Because you maintain this balance, your life will be fertile and abundant. This entry was posted in Artist, Deck Review, Featured Card of the Day, General Tarot, Readings and tagged 78 Tarot, 9 of Pentacles, Artist, Tarot. What a card for a Saturday! 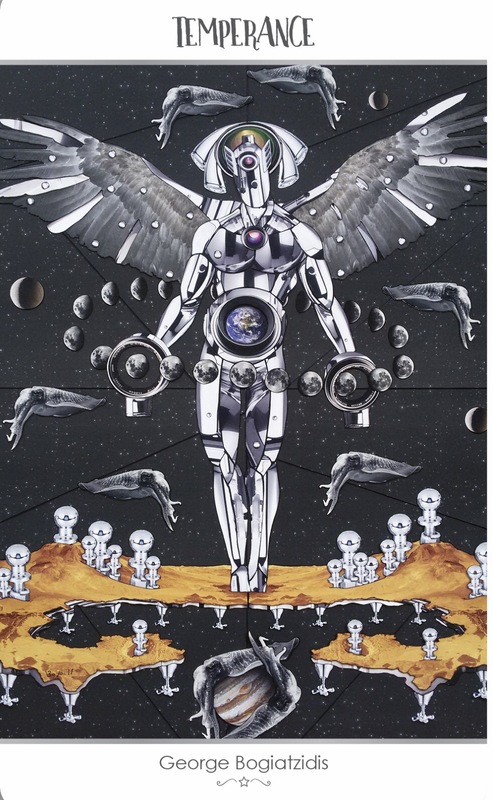 George Bogiatzidis has created this Temperance card for 78 Tarot Astral ~ Tarot in Space. Given the last two cards and their positivity, I can not help but wonder if some of you out there have gone into celebratory mode. Letting happy hour on Friday spill over into Saturday is never the best idea. Truly, this is a card of focus and balance. First let’s talk about the overindulgence which can come from this if things are not in balance; perhaps your eye is on the ice cream, rather than the salad. The Sun is in Taurus currently, so it is easy to put a little more on your plate, or crave the finer things in life just a little more than usual. Recognizing this, and not allowing yourself to get too carried away, is definitely in your best interest. As far as focus, yours definitely feels as though it is shifting to a more positive place. Positive events can certainly help to reinforce good behavior. If, for so long, things have just not been right, then it is very easy to not care if you do food, drink, smoking, internet, etc., to excess. There’s nothing like a positive New Moon highlighting what is coming your way, to make you sit up and take notice to where moderation in your life is necessary. This entry was posted in Card of the Day, General Tarot, Readings, YouTube Videos and tagged Card of the Day, Guidance, Path, Reading, Tarot, Temperance. Feeling very self-sufficient, she walks under her hanging grapevines with her falcon friend perched upon her finger. They admire all of their labor and feel a sense of gratitude and independence. It’s time to treat yourself – you’ve worked hard and it’s time to enjoy the rewards you’ve earned, time to celebrate your achievements. 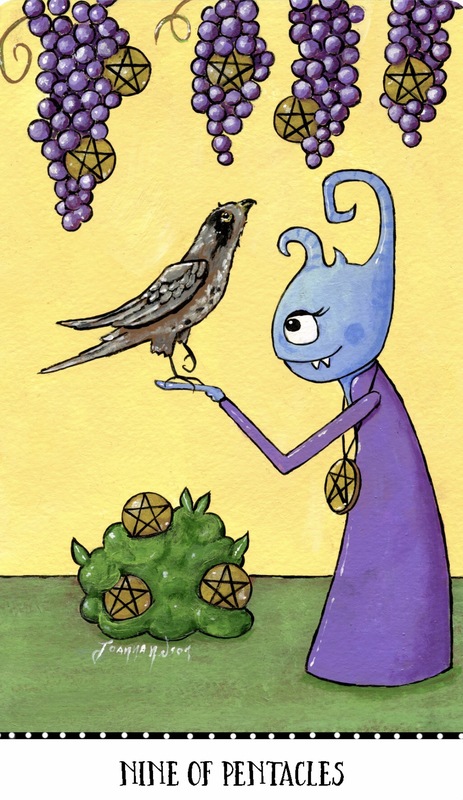 But along the way, you’ve also come to understand the work involved in chasing your dreams – this little monster appreciates the finery around her, but rather than dripping in jewels, she is surrounded by it – pentacles are abundant, growing from vines and bushes around her. She has enough self-control to enjoy her wealth in a controlled way, continuously investing in her future comfort and prosperity. 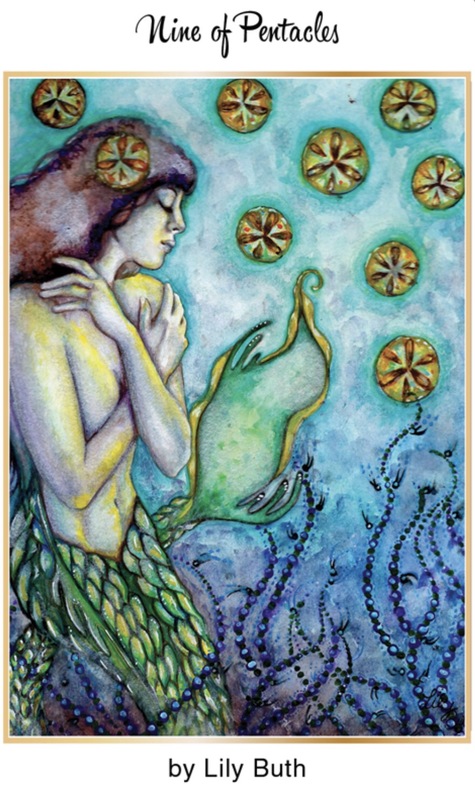 This entry was posted in Artist, Deck Review, Featured Card of the Day, General Tarot, Readings and tagged 9 of Pentacles, Joanna Nelson Studio, Monstarot, Tarot.